See Them Live: On tour now and playing festivals this summer. FYI: Band members James Sunderland and Brett Hite met while working together at a lululemon athletic apparel store. When asked where their music comes from, the members of FRENSHIP say “We both grew up in or near the mountains. James in Colorado and Brett in Washington, so, pretty much Mountains, USA.” While it sounds like some hippy dippy thing a member of a jam band might say, it’s also rather fitting. There’s a spaciousness to the group’s mix of electronic music, pop and rock that does evoke the wide-open vistas and gasp-inducing heights of their native environment. Though the group fit in securely with other radio-friendly alternative electro-pop groups, crafting their music on laptops and disseminating them online, there’s something more to FRENSHIP. “I’d say we play pop music but we think we’re cooler than we probably are,” the band says. Maybe it’s the group’s diverse influences that give them an edge. The members cite Bon Iver, Notorious B.I.G., The Police and Genesis, among their favorites and their dream collaborations would be with contemporaries Ellie Goulding, The 1975 and Little Dragon. 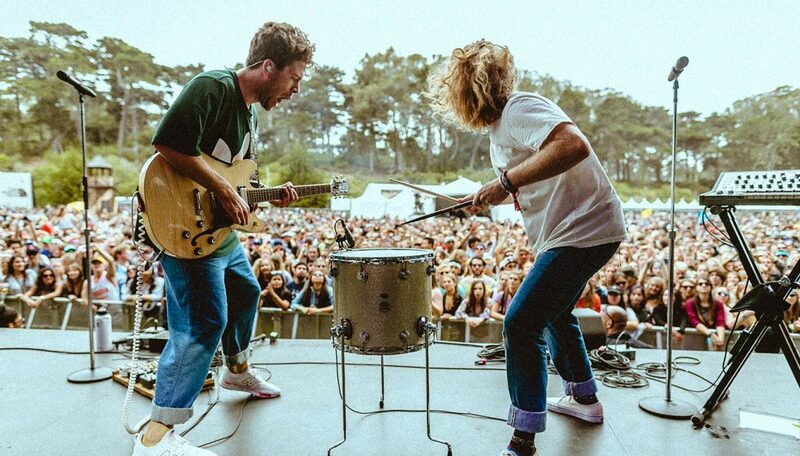 See FRENSHIP live, check out their tour dates and find a show near you.